Pentheraphobia or “the fear of mother-in-low” is a specific type of phobia. Persons with this phobia may also have issues with Novercaphobia (fear of your step-mother), Vitricophobia (fear of your step-father) and Soceraphobia (fear of your parents-in-law). Most sufferers are surprised to learn that they are far from alone in this surprisingly common, often unspoken type of phobia. Intense fear related to this phobia is something that poses no actual danger. While adults with Pentheraphobia realize that these fears are irrational, they often find that facing, or even thinking about facing, the feared situation brings on a panic attack or severe anxiety. This phobia is usually persisting and need treamtent because subconscious has attached the idea of mother-in-law to all those negative emotions. 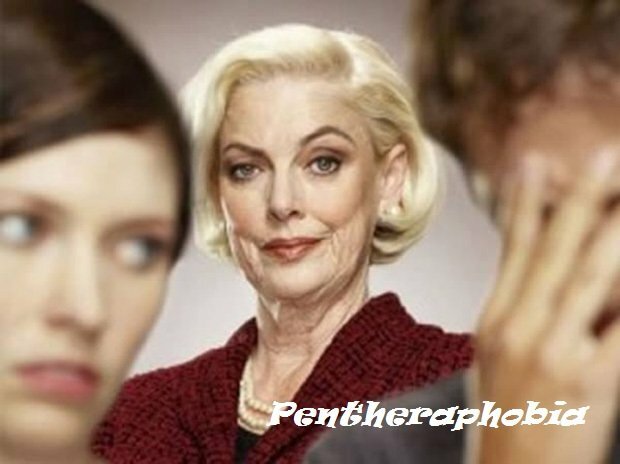 The origin of the word pentheraphobia comes from a Greek phrase “penthera” meaning mother-in-law and “phobia” meaning fear. Traumatic events in the past, family history of bad and traumatic situations with mother-in-low, brain chemistry or predispositions such as heredity are most possible causes of this irrational phobia. Phobia can be triggered at present by an event which is tied to the past, such as from the person’s childhood. According to most psychiatrists pentheraphobia is created by the unconscious mind as a protective mechanism. 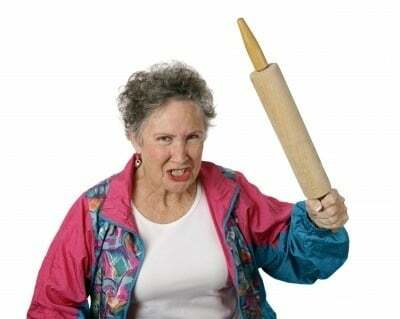 At some point in past, there was likely an event linking mother-in-law and emotional trauma. Whilst the original cause may have been a real-life trauma of some kind, this phobia can also be triggered by numerous factors such as: benign events like movies, TV, or perhaps seeing someone else experience trauma. What are patients with pentheraphobia afraid of? One of the most common issues associated with this phobia is that wife feels that the mother-in-law gets between her and her husband. In most cases the wife feels like she is competing with her mother-in-law to get her husband’s attention and this strain the relationship all around: husband, wife, son and in-laws. Wife fears she will lose her husband to her mother-in-law. She usually wonders: “Does the mother-in-law control everything in this relationship?” “ “Does my husband value his mother more than he values me?” Will I get private time with my new husband?” Such questions abound and are all rooted in negativity and fear-based thinking. There are no epidemiological studies for this phobia. Although it is common that most women don’t have good relationships with their mothers-in-low, pentheraphobia is considered to be rare. There are no special tests to diagnose pentheraphobia. History of phobia, and signs and symptoms are most commonly enough to diagnose this specific phobia. How to cope with pentheraphobia? It’s important for the wife to know that the actual problem is about her and her husband, not about her and his mother. The best option to cope with this phobia is to change the way of your thinking. For the beginning, see it as a good way that he has a really strong relationship and values his mother. You should not find this as a competition. Focus on what you can control: your relationship, not theirs. Talk to him when things are calm. Admit how significant his mother is to him and state something you like about her. Let him know how important he is to you and how you value him and his support. Express that when problems arise between you and his mother you don’t always feel you get that from him. Ultimately you want the same thing: to have your requirements and opportunities met and to feel understood. The more united you and your husband are on issues, the less likely that a rift will exist between you and your mother-in-law. CBT is related with thoughts and behavior modification of a person. The therapist will have regular counseling sessions with the patients in the context of the fear for mother-in-low, and will try to discover and understand the inner causes/thoughts responsible for it. The therapist guides the patient how to understand the phobia in order to build a positive behavior. The final goal is to release the stress and anxiety, and to gain more confidence to face their fear of mother-in-low. Hypnotherapy may be also helpful for pentheraphobia treatment as it may help to reprogram your subconscious “programs” that may be part of your fear. When these programs issues are resolved the symptoms of pentheraphobia often are minimized. However, some people don’t like the feeling of loss of control in allowing someone else to play with their personal “software”. Hypnotherapy has been shown to be safe and works fast. Quickly and easily change your behaviors. Thought patterns change, often very quickly. Developing skills and techniques that are useful for a lifetime in all situations. NLP is principally the practice of how we create our reality. From the NLP viewpoint, a phobia is the result of your programs or “constructs” that you have created that don’t work very well. With NLP, these constructs are revealed and “re-programmed” so that the pentheraphobia is minimized and often eliminated. Usually the interventions are quite rapid and effective.